In addition, the film received a Best of the Rock Fest’s Music Movie Pictures mention from Rolling Stone magazine. The honor came in shortly after the film premiered this past March 15th, at the SXSW festival in Austin, Texas. Harrington said in an interview with Reelscreen.com that she was inspired to make the film during the production of her 2003 Grammy nominated documentary Welcome to the Club: The Women of Rockabilly because so many of the women she interviewed were impacted by the music of the Carters. 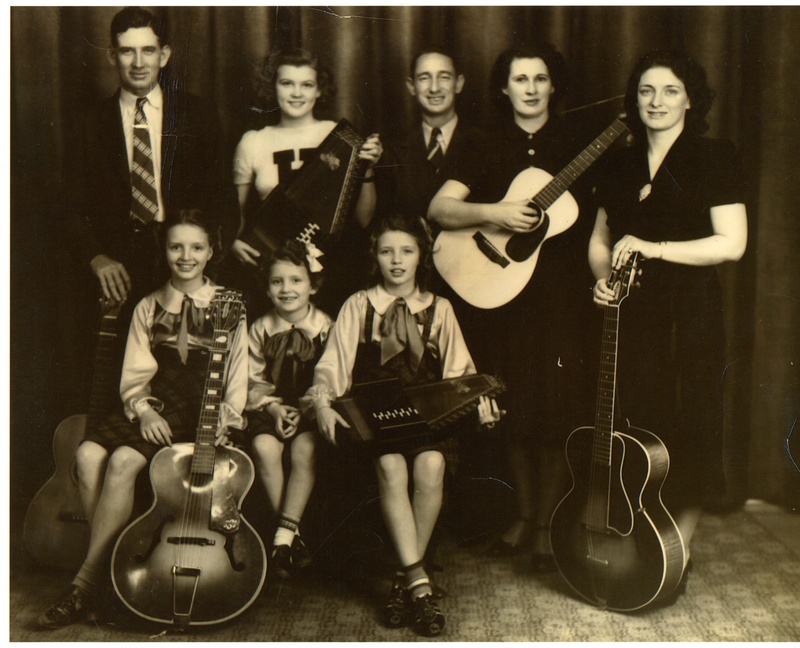 After ten years of perseverance, Harrington completed her film about the Carter dynasty, showing how they helped invent country music and influenced generations of musicians. 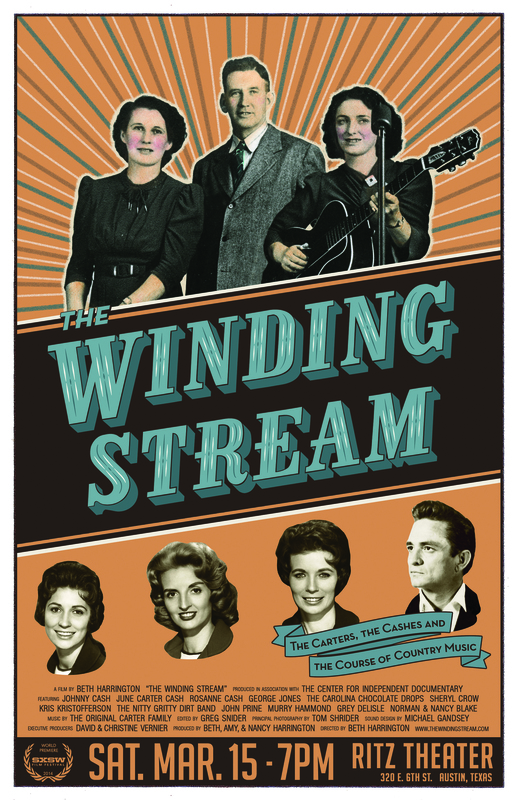 The Winding Stream also touches on the struggle and love between the Carters and the Cashes while featuring studio performances by celebrated musicians such as Johnny and June Carter Cash, George Jones, Rosanne Cash, Sheryl Crow and Kris Kristofferson. Harrington stated in another interview with efilmcritic.com that the biggest challenge she faced with this project was raising the money. “Making historical music documentaries is very expensive; the rights to songs, photos and footage cost as much, if not more, than the actual production costs,” she elaborated. A musician herself, Harrington most often focuses on work that explores American history, music and culture. Harrington has also worked with WGBH in Boston and OPB in Portland producing, researching, and developing shows for both national and local television on series such as NOVA, Frontline, Health Quarterly, History Detectives and Oregon Experience, in addition to numerous one-off specials. She is active in various film communities, having served on the board of Film Action Oregon as well as the Oregon Media Production Association. She is a past President of Women in Film/New England and a former Vice President of Women in Film/Seattle. 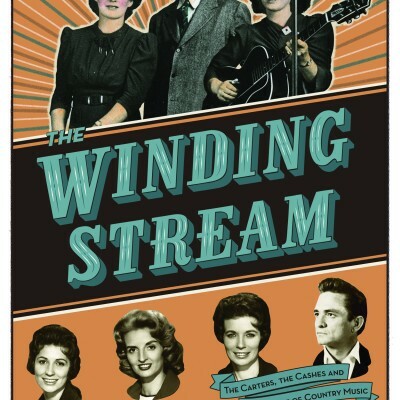 The Winding Stream was completed with to support from David and Christine Vernier, the National Endowment for the Arts, the Virginia Foundation for the Humanities, the Roy W. Dean Grant and numerous Kickstarter campaign backers. Harrington is actively seeking support and sponsorship for further distribution of the film. After a run of the southern film circuit, the film will be shown at a Portland Women’s Film Festival Special Screening on Saturday, May 3rd, at The Hollywood Theater. For more information visit The Winding Stream website for a synopsis, video clips, sponsor lists, campaign links, press information, photos and screening information. You can also stay interactive with the film’s facebook page.